Adding a touch of steampunk flair to your outfit just got easier, thanks to our steampunk buttons and cufflinks category. Here, you can find Neo-Victorian buttons in various sizes and designs that can be used to tweak dress shirts or decorate clothing or crafts. Our steampunk cufflinks provide another fun option for formal ensembles, adding that perfect element of gentility that is so essential to any Victorian gentlemans style. Many of our decorative buttons show off cogwheels and gears, while our Neo-Victorian cufflinks range from dragon eyes to vintage timepieces. These pieces make great gifts for steampunk cosplayers, or they can serve as personal accessories for anyone who enjoys eclectic styles. Whether you want gear buttons, pocket watch cufflinks, or another distinctive accent, you are sure to find great options here. 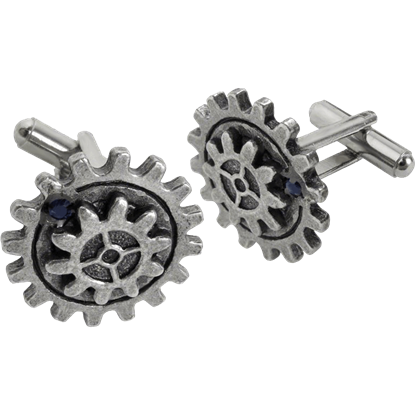 By wearing these Empire Spur Gear Steampunk Cufflinks, one can demonstrate the advanced state of their existence through industrial exemplification, adding iconic gears to their state of elegant appearance and dress. 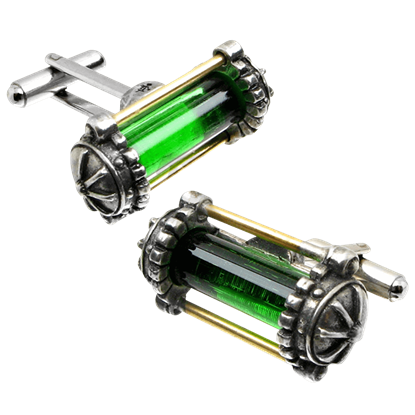 In a steampunk world, these Miasmatic Reactor Core Steampunk Cufflinks are actually atmospheric purifying and energy extraction devices, designed to defend against the hazard of noxious air, as well as fine accents to your attire. 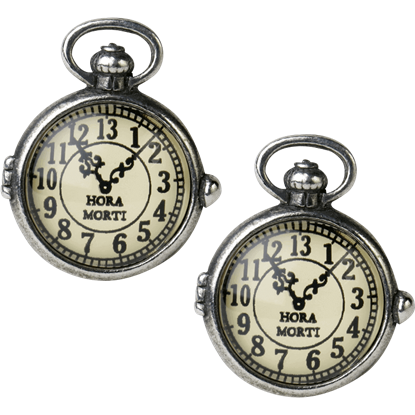 The perfect accent for those fascinated by the passage of time, the Steampunk Timepiece Cufflinks display a unique, 13-hour Lunar fob watch crafted with striking Victorian style and inscribed with the Latin phrase, Hora Morti.